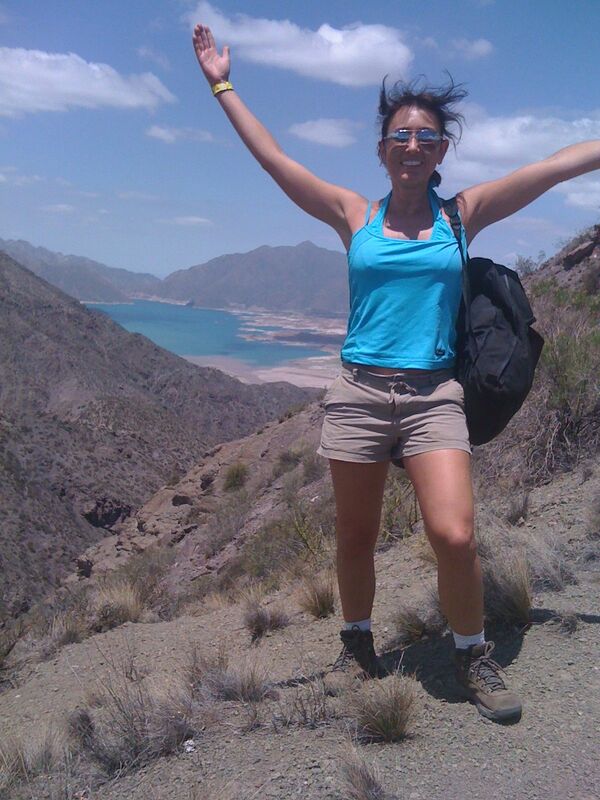 The second leg of my South American Walkabout could not have been more inviting. After a long, overnight bus ride from Santiago, Chile and over the Andes, Mendoza, Argentina greeted me with a glorious sunrise over the desert, rolling out the true welcome mat of the Home of Malbec. Although my first leg was beautiful, the near freezing temperatures at the Strait of Magellan with rather “Chile” glacier hikes in Patagonia, this naturalized Florida resident needed a good dose of warmth. The summertime temps in Mendoza of near 90s made me feel right “en casa.” I coupled the lovely climate with a little culinary indulgence with churrasco (world renowned Argentinean beef) washed down with a Mendozan Malbec, my favorite libation. Although it was very tempting to spend my stay in Mendoza by hopping (or stumbling) from Malbec bar to Malbec bar or vineyard to vineyard. I did not. Ok, to be rather frank, I did some of that, BUT not without working up a thirst from numerous adventures on foot, horse, and raft. Enjoy my trinity of Mendocino fun below! 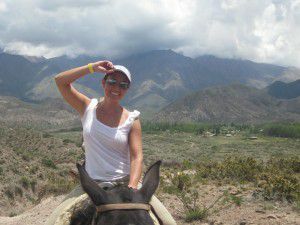 None of the adventures in Mendoza whether horseback riding, rafting, or hiking were my first time. 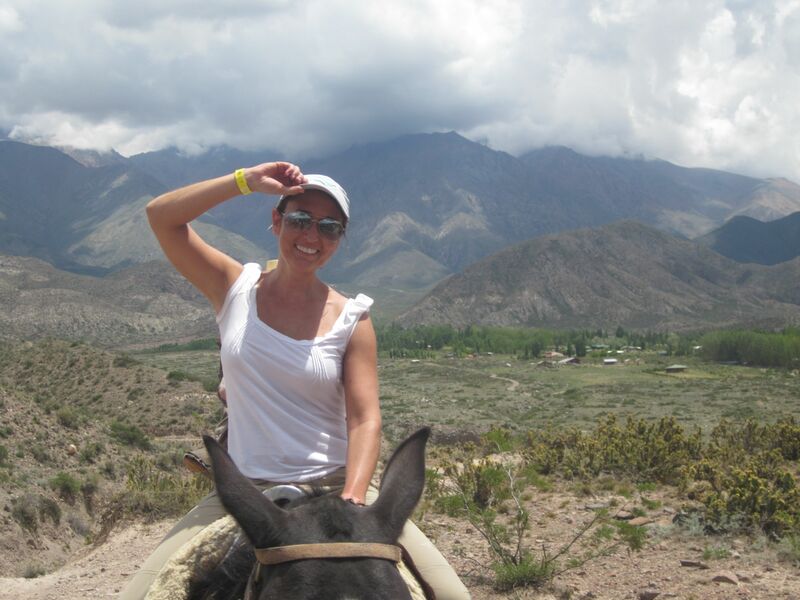 However, it seemed like “my first rodeo show” because of the surreal setting, nestled in the Argentinean countryside with cacti on your left, vineyards on your right, Andes to your East, Mendozan River to your West, and unbelievable colors all around. 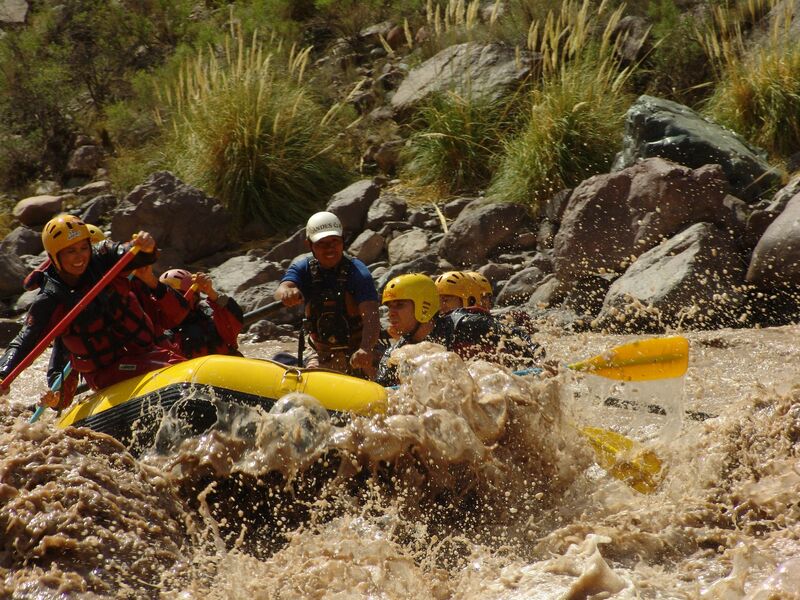 It was enough to make one dizzy or maybe that was caused by the Malbec or better yet the combination of the gate of the horse, the rapids of the river, and the elevation of the hike. All these adventures make for good times and good stories. HERE’S TO MORE GOOD TIMES AND GOOD STORIES TO COME!! Mendoza looks like a fun place to hang out. But 90 degree temp? Oooh, that’s hot. I think we’ll be in Argentina in September-ish this year, so hopefully it will be all nice and cool all over — the way we like it. Yes?